Dinosaurs have been a part of the Dungeons and Dragons experience for decades. this wiki stub provides a brief breakdown but falls to include the new 5e product Tomb of Annihilation which features more dinos in the jungle. 1. Fallen Kingdom: Have the players or the people in the campaign run through an area that has now fallen into ruin? Did an old campaign fail with the players not saving Waterdeep? With Shadowdale being destroyed? Have the new players go through those ruins. Have them see the price of failure. 2. The environment as a challenge: While 4e may be hated for many reasons, it's skill challenge system had some potential. It allowed your characters to try and succeed at something with a certain number of successes needed before hitting a certain number of failures. Need to jump onto a crumbling spiral stairwell while lava burns through the roof? Need to dodge falling boulders while driving a carriage unto a boat that's leaving dock? Set some skill checks and devise some penalties for each failure. Maybe you get splashed with acid. Maybe you get jostled on the vehicle. Maybe a nearby monster gets to take a bite at you. 3. Minions: While it's great to give players equal opposition and sometimes even have them go against stronger foes, giving them numerous opportunities to knock out weaker foes gives them a chance to flex their own physical prowess. 4. New Enemies: In a game like Dungeons and Dragons, one of the most iconic monsters is the owlbear. 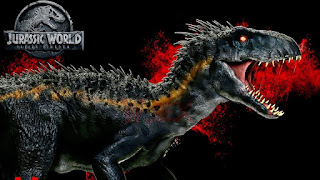 Fallen Kingdom introduces the much cooler indoraptor, a super raptor. In a game like dungeons and dragons where half-orcs, half-elves, half-dragons and more often hit the standards as a player race, well, seeing some new and unique type of dinosaurs is an almost assured thing. More importantly, though, it should serve as an example of making your own mark on a campaign. Has a new wizard decided to follow through with owlbear variants? Has a new dragon cult determined that dragons crossed with demons are stronger than those crossed with devils? Many many moons ago, Mongoose Publishing created a book dedicated to this type of monster creation, Crossbreeding. Well worth a look for ideas. 5. Random Events: The biggest failing for me of Fallen Kingdom is the surprise savior bit that keeps getting played out over and over. Hero comes to save kid! Blue comes to save hero! Love interest comes to save both! But from that idea, comes the idea that if the heroes and villains are fighting in a wilderness-based area, perhaps there are other things out there that will gladly take turns and bites out of both groups? 6. Unique Features: The inoraptor has a distinct feature, outside of its own unique look. It taps one of its talons on the ground. It's something that instantly gives it personality and character. The raptor blue has enough features that it's no longer 'just' a raptor, it's a character. The big old T-Rex that's been around forever? It's now scarred but still standing and still doing its iconic poses and roars. Try to remember when the party isn't fighting nightless hordes to give them something to remember about the encounter. 7. Feature Expansion: At the end of the movie, the 'genie' is out of the bottle. Even though, you know, as technology progressess it would've been out of the bottle years ago. Dinosaurs are hinted to be at a much more involved state of the world. What if in most fantasy setting with a demon infestation that infestation explodes outwards? Overall perhaps smaller but in more 'mundane' areas? What if that magical desert starts spiking out in odd growth patterns and intrudes in other rareas? What if an outer planar feature that was just a portal becomes a city or opens up for much longer? Some huge ramifications and some serious thought should be given to such an event. 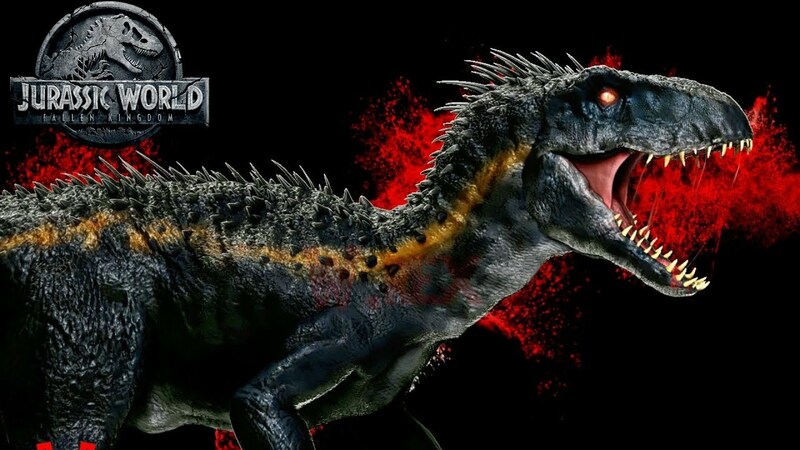 Jurassic World Fallen Kingdom isn't perfect but it's a fun summer film and can provide numerous opportunities to add fun elements to your own campaign.